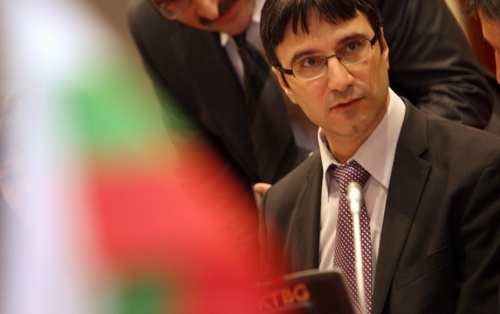 Bulgaria’s Minister of Economy, Energy, and Tourism, Traicho Traikov, has stated that the government is very likely to go for building a new reactor at the Kozloduy Nuclear Power Plant. The Borisov Cabinet was working on preliminary assessments of the necessity, capacity, and economic feasibility of a new reactor at Kozloduy, Traikov said in an interview for Reuters quoted by the Bulgarian media. Minister Traikov has explained that the capacity of a potential new reactor at Kozloduy would be at least 1 000 MW. He has pointed out that its construction would be cheaper than the construction almost from scratch of a second nuclear power plant at Belene, another town on the Danube. He has made it clear that the nuclear projects at Kozloduy and Belene would proceed independently from one another, and that the fate of the Belene NPP is to be determined by the market. Bulgaria’s Kozloduy NPP currently has only two 1 000 MW units in operation after it shut its four 440 MW reactors as part of a deal with the EC. The project for the Belene NPP – which is to be constructed by the Russian company Atomstroyexport – has stalled after its cost was estimated to be as much as EUR 10 B, and the Germany company RWE, which was supposed to provide about EUR 2 B in exchange for a 49% stake – pulled out from the project in the fall of 2009. Traikov has announced that the Bulgarian government is about to start a tender for selecting a consultancy to help it attract foreign investors for a stake of 49% or more in the future Belene NPP in order to fund its construction.